Want a new way to deliver content to customers and prospects? Wondering how Amazon s Echo or Echo Dot can help? In this article, you ll discover how to set up an Amazon Alexa flash briefing to regularly deliver product updates, event information, and expert tips to an engaged audience. What Is a Flash Briefing? 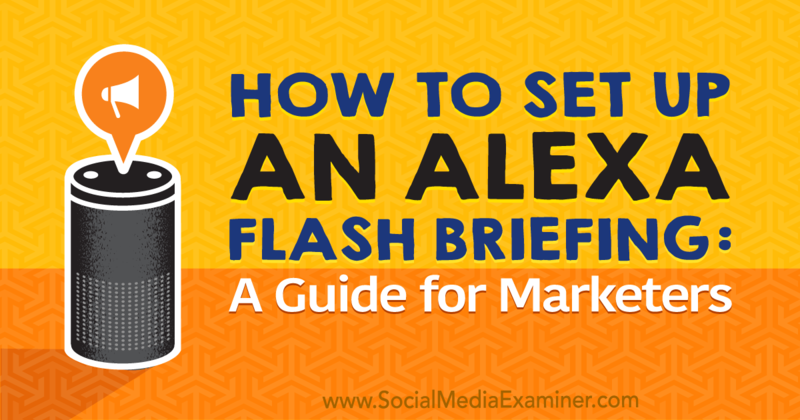 The Amazon [...] This post How to Set Up an Alexa Flash Briefing: A Guide for Marketers first appeared on Social Media Examiner.